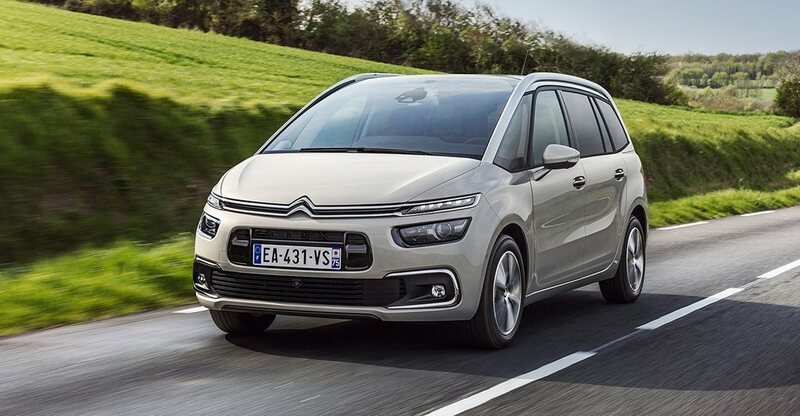 A facelifted version of the Citroen Grand C4 Picasso has arrived in Australia with fresh looks and a more affordable petrol variant. The seven-seat people mover is the latest model from the French car maker to make a belated entry into the Australian market due to parent company Groupe PSA’s local distribution changing hands. The midlife facelift brings fresh styling tweaks with restyled bumpers and headlamps for the Kia Carnival, Honda Odyssey and Volkswagen Multivan rival. The rear end gains similar treatment including revised tail-lights. The interior gains more aesthetic interior trim and updated multimedia via a larger 7.0-inch touchscreen, while extra driver assist tech and a hands-free tailgate bring more convenience. The 2018 Grand C4 Picasso range starts from $38,490 for the 1.6T Exclusive, which adopts the 121kW/240Nm 1.6-litre four-cylinder turbo-petrol engine from the now defunct C4 Picasso hatch. Paired with a six-speed automatic transmission sending power to the front wheels, it sips an official combined fuel use rating of 6.4 litres/100km, which isn’t a bad return if shifting six passengers. The 1.6T Exclusive joins the turbo-diesel 2.0 HDi Exclusive, which comes in at $44,490 – which is about $1000 less than the previous model. As before, the 110kW/370Nm 2.0-litre turbo-diesel version lowers fuel use to 4.5L/100km with the aid of idle-stop technology. Options include a pack that adds Nappa leather upholstery, front seat heating and massaging, driver’s lumbar adjustment, LED reading lights for the airline-style rear trays, rear-seat flat-fold function (allowing loads of up to 2.5m long) and an electric footrest. Premium paint and differently styled 18-inch alloy wheels are also available.